Yesterday - we talked about single-file components, the advantages they provide, and how we’re only able to use them with build tools like Webpack. 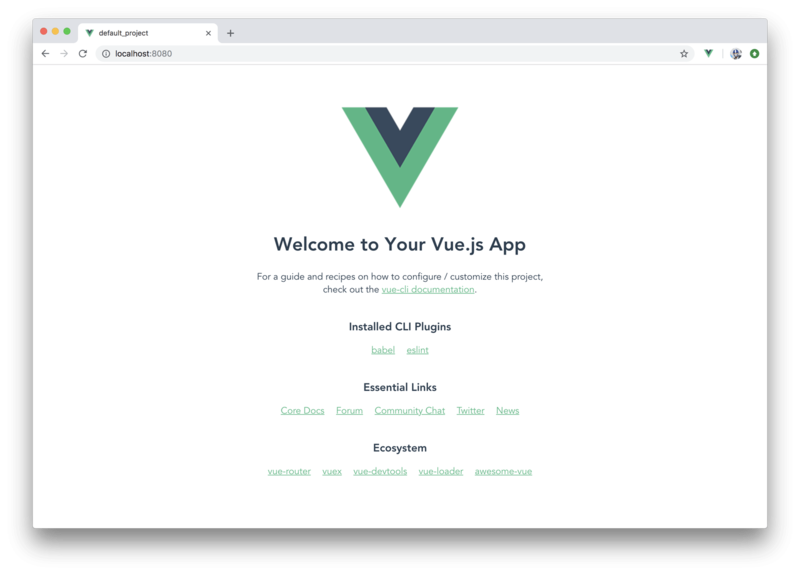 Today, we’ll talk about how we can rapidly scaffold a brand new Webpack bundled Vue application with the Vue CLI (i.e. 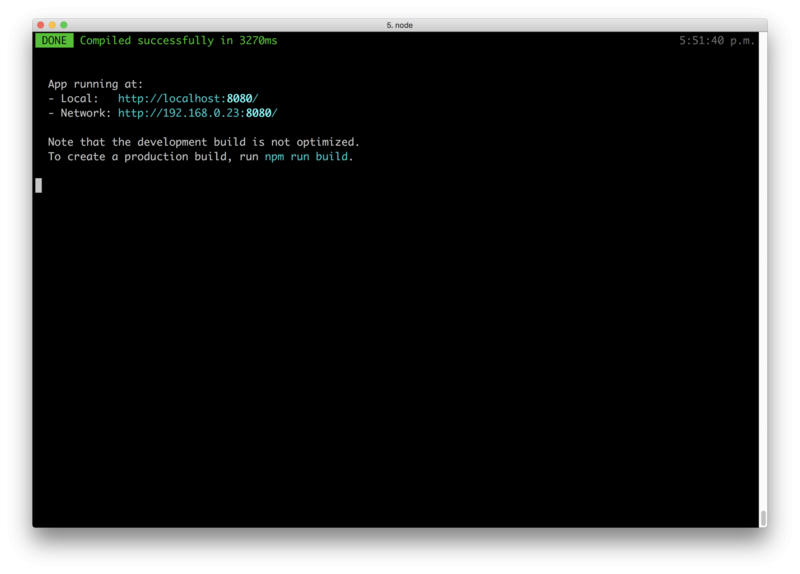 the Vue Command Line interface). 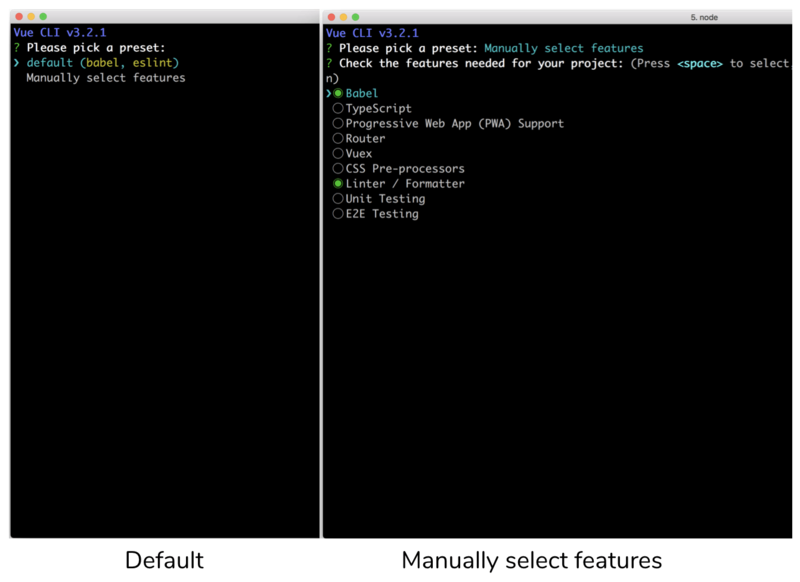 The vue-cli is a tool built by the Vue core team to help facilitate the rapid building and developing of Vue applications. 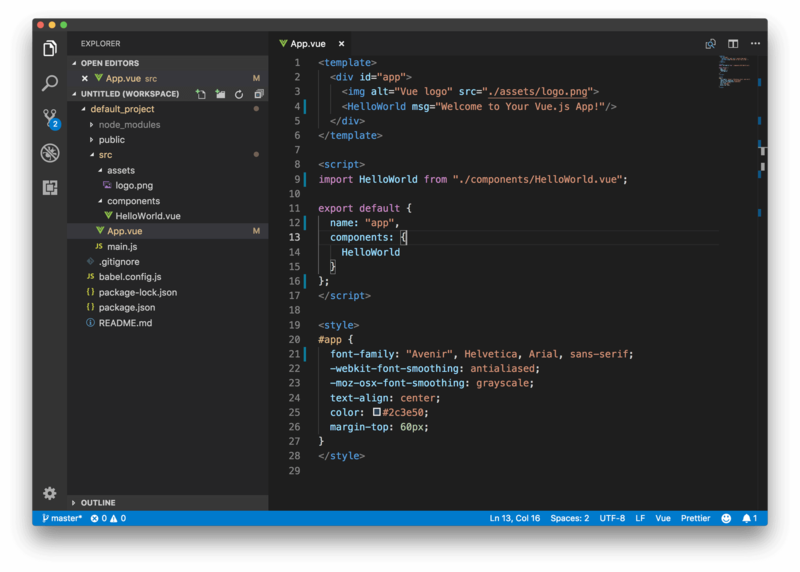 The Vue command line interface allows us to get started right away without having us worry about all the steps needed to set up the different build tools in a module based Vue app. You'll need a working Node.js development environment along with an appropriate Package manager (e.g. npm as the example shown above or yarn). Once the vue-cli is installed globally, a new Vue project can be created by running vue create within a certain directory and specifying the name of the project we'd want to create. 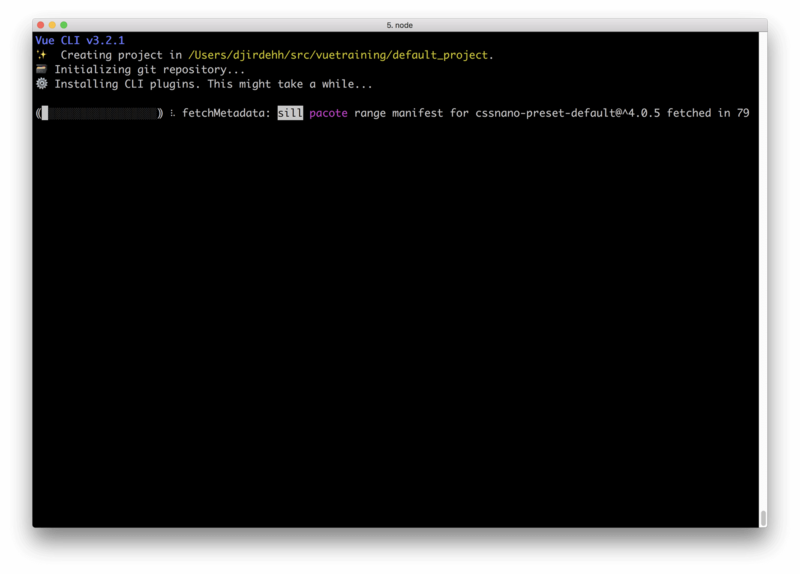 For this article, we’ll create a project with the name of default_project. When the vue create command is run; we’re provided with a prompt allowing us to select a default preset or manually pick series of features that we might find useful when building our Vue app (like TypeScript, PWA support, etc.). We’ll select the default preset for this article. Once the selection is made, the Vue CLI will then begin to install all the necessary dependencies and create the project. README.md All extra information/run steps are listed in the README.md file. package.json The package.json file lists all the locally installed npm packages in our application for us to manage in addition to having some built-in scripts already created for us (e.g. serve, build, lint). public/ The public/ folder contains the root markup page (index.html) where our Vue application is to be mounted upon. index.html is where we can also add additional webfonts, style tags, etc. that we might need in our app. In addition to these files/folders, we would also see other files/directories for the extra build tools that we can set-up during a manual set-up (eg. tsconfig.json file for the TypeScript compiler options). A vue-cli packaged app comes with a few built-in scripts it creates for us (which can be seen in the package.json file). Once the setup of our newly created project is complete, we can navigate into the project (cd default_project) and start our app using the npm run serve command. With the Webpack server running, we’re then able to view our app at http://localhost:8080/. If we open up the project src/ folder in the code editor of our choice, we’ll see a simple Vue app constructed with single-file components. The src/App.vue file can be seen to be a basic Vue component that displays the Vue logo image and renders the HelloWorld component created in the src/components/HelloWorld.vue file. The Vue CLI scaffolded project is hot-module reloaded which allows the application UI to automatically update when there’s a change (and save) in Vue code without the need to make a hard refresh. How awesome is that! And when it comes to configuration, we’re able to continue configuring the build tools of our app as much as we want with no issues. There is no concept of ejecting.